Atlanta attracts visitors with its plethora of entertainment, shopping and cultural attractions as well as innumerable top class convention and accommodation venues. 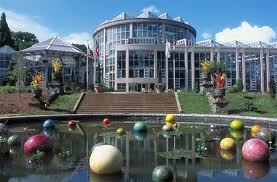 There are also plenty of museums, galleries and centres for performing arts, as well as the world's largest aquarium. Hometown to Martin Luther King Jr and capital of the South, Atlanta is an ever expanding city of 5 million residents and an increasingly popular tourist destination. Located in the southern state of Georgia, Atlanta boasts some world class tourist attractions, a great selection of gourmet restaurants, enormous shopping malls, a Civil War and African American history, beautiful scenery and lots of hiking trails. All of the main American airlines and European carriers such as Swiss, Alitalia and Air France operate flights to Atlanta, USA usually with a transit in the USA or Europe respectively. 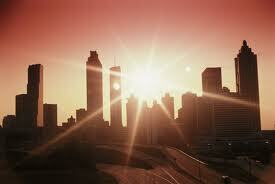 There are also direct flights to Atlanta, USA from the UK on British Airways and Delta. If you book your flights in good time, there are usually great offers on low cost flights to Atlanta, USA. One of Atlanta’s most popular attractions is the Georgia Aquarium, believed to be the largest aquarium in the world, it is home to many different types of sea life including beluga whales, whale sharks, dolphins, alligators, manta rays and turtles to name but a few. Atlanta also has a new World of Coca Cola attraction which includes the history of this world famous soft drink, a gallery, bottling line and the chance to taste Coke products from all over the world. Zoo Atlanta is also very popular with visitors and is situated in the beautiful Grant Park on the edge of the city. As well as elephants, tigers and kangaroos, Zoo Atlanta is famous for its rare giant panda cub called Mei Lan. Other attractions in Atlanta worth a visit are the Fernbank Museum of Natural History, full of interactive exhibits and an IMAX theatre, the Cyclorama which is a famous circular painting of the 1864 Battle of Atlanta with a Civil War museum close by and the Botanical Gardens which are a haven for relaxing and admiring the beautiful plant life. Try our flight comparison search facility at Directflights.com where we’re committed to offering the cheapest flights to Atlanta, USA around through our flight partners. For excellent value for money and the best prices on cheap flights to Atlanta, USA, we recommend that you book as far in advance as possible and avoid the busiest times of year to travel such as during the peak summer months and Christmas. As well as the cheapest deals on flights, we can also find you competitive fares on lastminute flights to Atlanta, USA. Atlanta has four distinct seasons, and a temperate climate. Winters are very cold with temperatures below freezing for much of the time, but the daytime weather is mild enough to sit outdoors, with only an occasional snowfall. Summers, by contrast, can be hot and humid with heat wave spells lasting days at a time. Average temperatures for summer show up as fairly low, however, but this is somewhat misleading. Atlanta receives abundant rainfall, which is evenly distributed throughout the year.